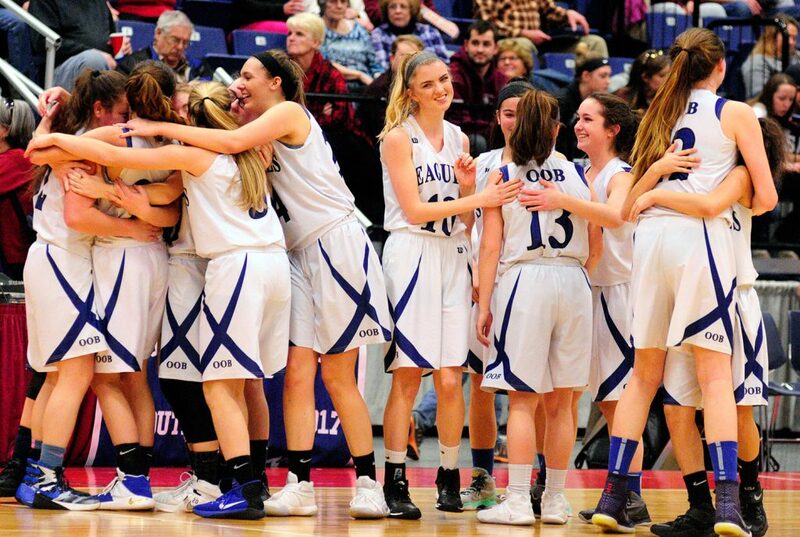 The Seagulls advance to the Class C South semifinals with a 45-41 win. 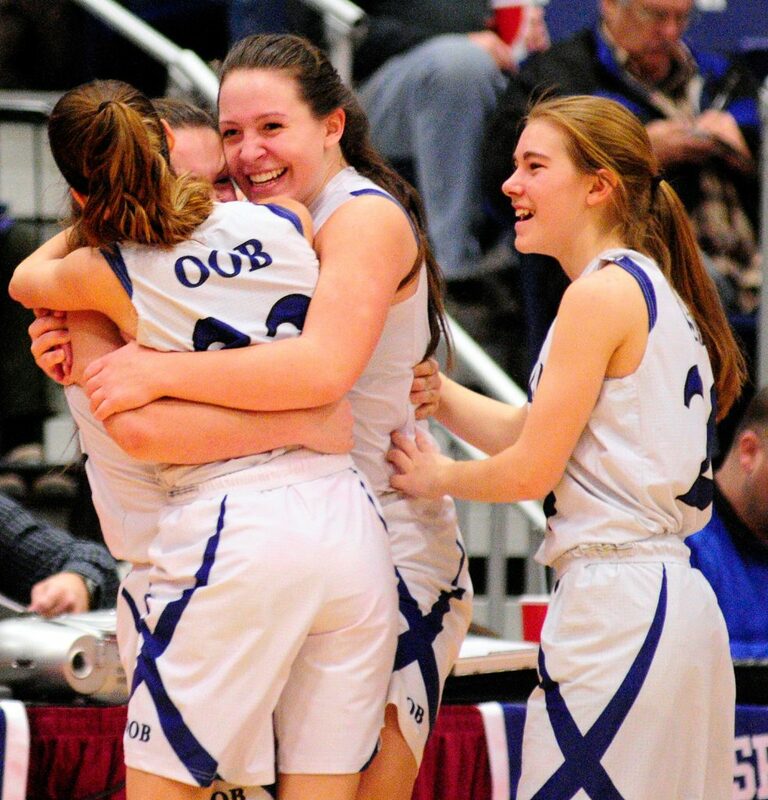 AUGUSTA — Despite committing 32 turnovers and being held without a field goal for the final 4:38, Old Orchard Beach found a way to hold on in a Class C South girls’ basketball quarterfinal Tuesday at the Augusta Civic Center. The No. 4 Seagulls made enough free throws down the stretch and played strong defense to take a 45-41 win over No. 5 Madison. The Seagulls (11-8) will meet top-seeded and undefeated Richmond in the semifinals at 4 p.m. Thursday. 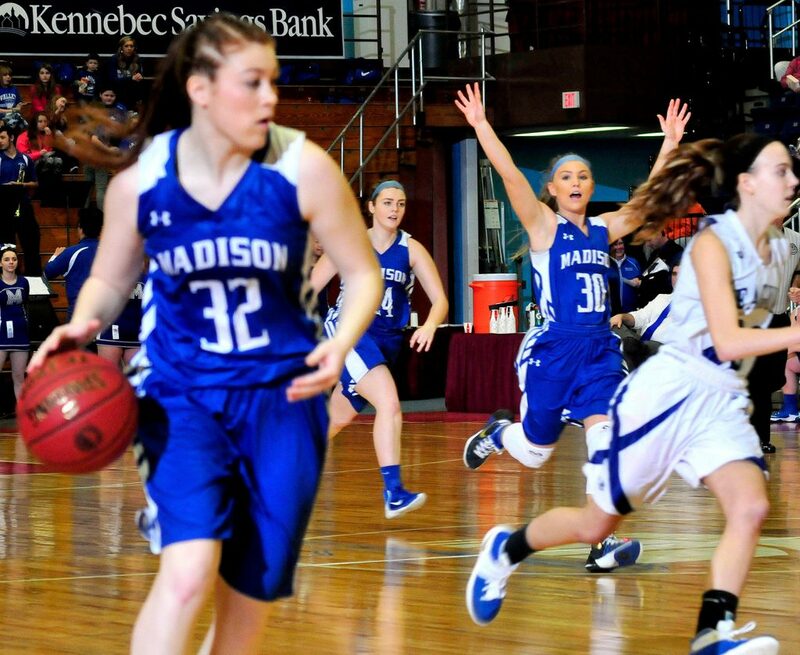 The teams combined for 54 turnovers, with Madison (14-6) giving up the ball 22 times. The Seagulls led eight points in the third quarter before the Bulldogs cut the deficit to one entering the fourth. Down 40-36 midway through the fourth, Madison tied the game on baseline jumpers from Sydney LeBlanc and Ashley Emery. With just under 40 seconds left, and OOB leading by two, LeBlanc had a layup go in and out. 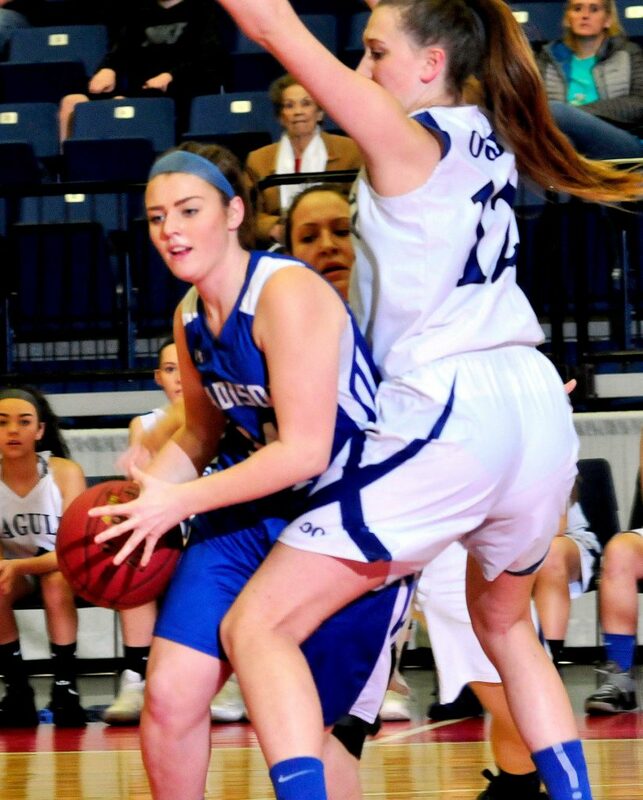 Samantha Donnell made a free throw and Bri Plante sank a pair of foul shots to ice the win for Old Orchard Beach. 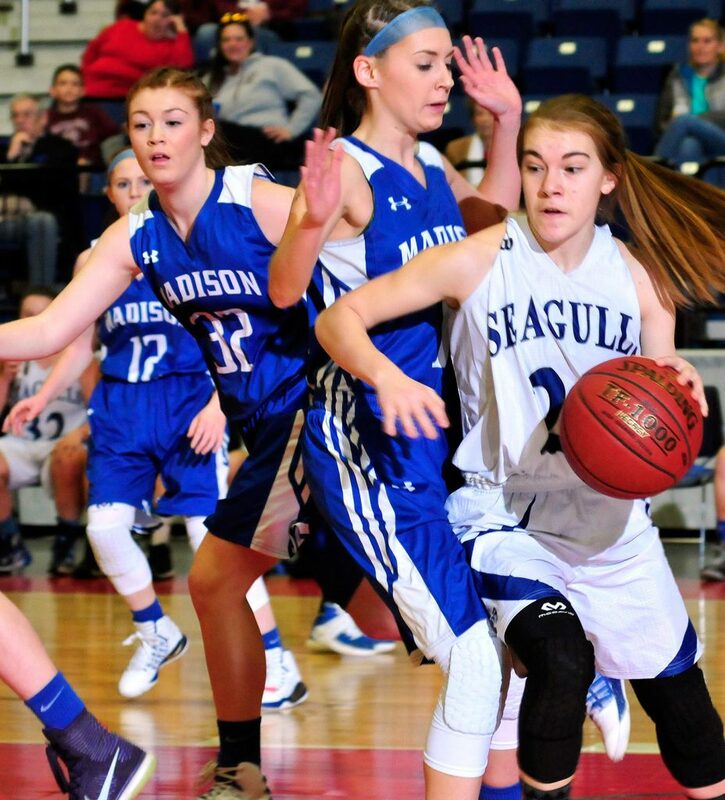 Emily Greenlee paced the Seagulls with 15 points. Plante scored eight of her 11 points in the second half, and Meghan LaPlante added 14 points. “The girls found a way. 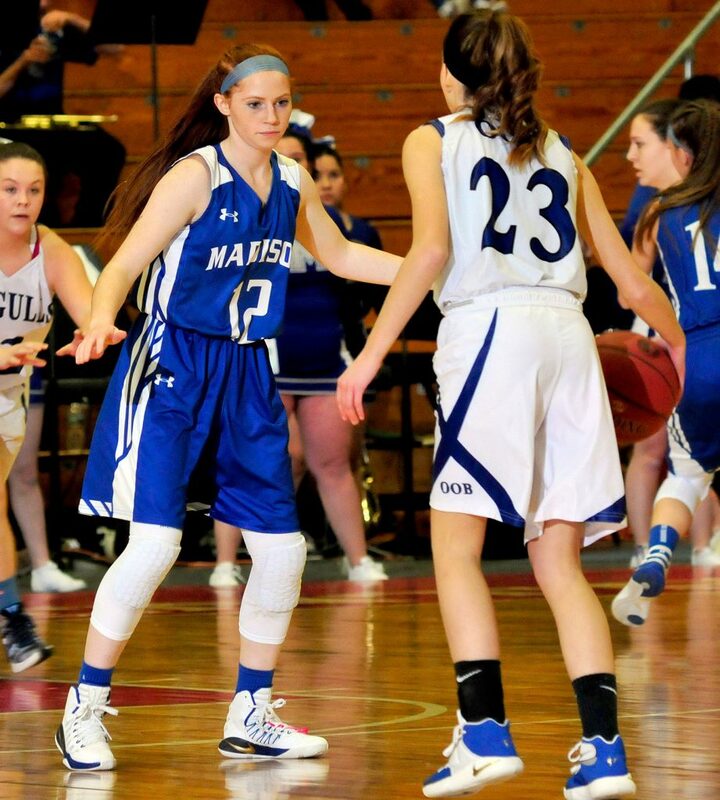 Meghan LaPlante was big for us in the first half, and I thought Bri Plante took over the second,” Plante said. Madison Coach Al Veneziano said the Bulldogs got what they expected from the Seagulls defensively, a tough 2-3 zone and some pressure. Madison just couldn’t make shots consistently. “Tough defensive game, and we didn’t seem to get the offense flowing. I thought we had some good shots, we just seemed too rough. That happens sometimes in a tournament game,” Veneziano said. Coach Plante said a focus off OOB’s defensive attention was Madison senior Maddy Wood, who was held to four points, all on foul shots. Madison knew it had to limit the Seagulls’ perimeter chances, and it did, holding OOB to three 3-pointers. But the Seagulls’ inside game wore down the Bulldogs. “We knew we couldn’t give 3-point shots up. I was pretty happy with that. They can shoot the 3 and they can bury you out there if that happens,” Veneziano said. 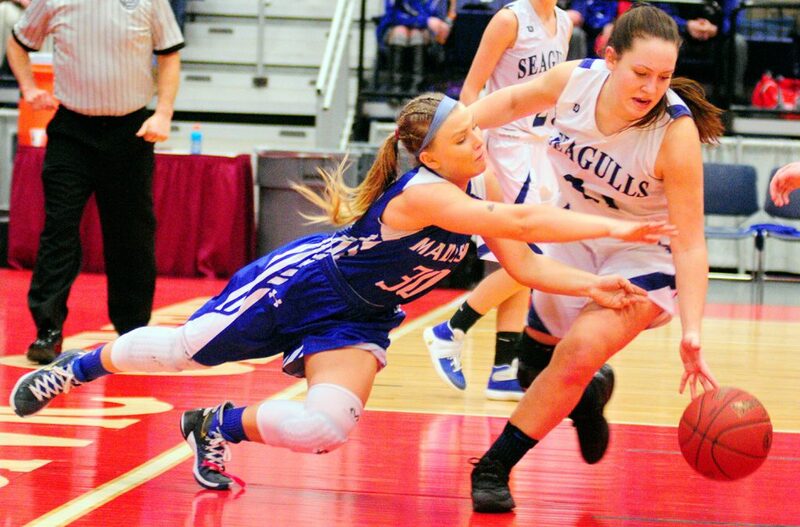 Sydney LeBlanc led Madison with 12 points, while Lauren Hay added nine.